Microsoft launched its latest Operating System Windows 8 in Egypt last week, in attendance of Microsoft’s Corporate Vice President Ali Faramawy. 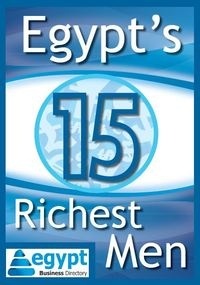 Egypt was chosen as one of the 19 countries that would welcome Windows 8 with a boom – and so it did. In an exceptional launch-ceremony, Microsoft worked on bringing Windows 8’s new features closer to the Egyptian mindset and simultaneously, worked on supporting the local tourism-sector. The company called it ‘the most powerful product launch in the history of Microsoft Egypt’. The “revamped” Windows 8 offers a new, more efficient user interface and a refurbished Start screen based on Live Tiles, a touch-friendly Internet Explorer 10, and built-in Cloud capabilities with SkyDrive that allow the user to easily share images and documents. Additionally, this product marks the launch of Windows Store, the parallel substitute for Google Play and Apple’s App Store. After being launched worldwide at the end of October 2012, already 4 million operating systems were sold. “Touch is everywhere! Windows 8 can operate on tablets and PCs – and everything in between,” he elaborates. Through cloud-computing, each user can sync his Start screen, user interface and personal settings on all of his / her devices running on Windows 8. During the launch event, Microsoft experts and 96 trained students showcased the new operating system with its different axes, including: Reinventing the Windows system and reintroducing it with a totally different look, Windows 8 apps that you really need, Windows e-store, working from home using the new system, IE 10, connecting with the cloud services, protection and security of data, and adaptability of the new system to a wide range of computers and e-devices. All this was accompanied by props and setups representing different features and cities of Egypt – as well as an oriental music band, ushers disguised as street vendors and an infamous “Friska”-seller. Windows 8 and more than 40 unique Windows 8 devices will be immediately available from major retail stores countrywide in two versions at retail, Windows 8 and Windows 8 Pro.